Dave plays the best 90s dance tunes, Debbie Harry of Blondie chooses her Ultimate 12" and the inimitable Boy George is our godlike DJ. The 90s will be remembered by many as the decade in which trance was born, and it was this 'big room' sound that would bring about the advent of the superclubs such as Gatecrasher and Ministry of Sound, as well as massive dance festivals such as Creamfields. House music was splintering, wearing its disco influences on its sleeve on the one hand, or becoming deeper and progressive on the other. Tonight's show features some of the best dance music of the decade from Todd Terry, Ultra Naté, Grace and Faithless, amongst others. Also on the show, Blondie frontwoman Debbie Harry proves she's still up with the New York club scene with her choice of Ultimate 12". 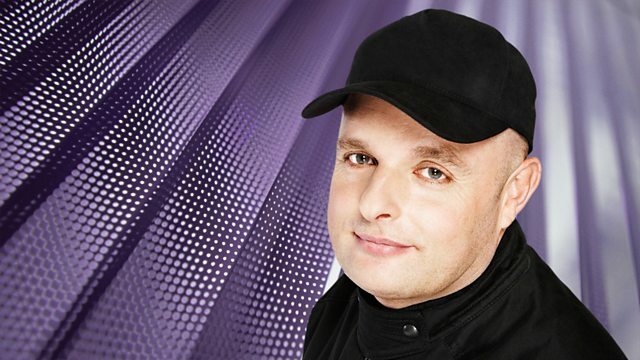 Share your own clubbing memories with Dave by e-mailing him at Dave.Pearce@bbc.co.uk any time. During the show, you can contact him via text on 88291, or on Twitter @dj_davepearce. Top Of The Pops 1 (Various Artists).